Nikon has finally entered the large-sensor compact game (I don’t count the 1 series, which is a bit of an odd beast in that logically it’s all the system camera most people need, but not the camera that most people want.) The Coolpix A is a 16MP, 28/2.8 equivalent setup that’s built around a Sony DX sensor – an upgraded unit of the one in the D7000 and Leica X2, it seems. Unlike the D7000, and like the D7100 and D800E, this camera has no anti-aliasing filter. It’ll shoot full-fat 14-bit raw files at approximately 4fps, with a reasonably deep buffer. Focus is via a contrast-detect system, and there’s a fly-by-wire ring around the front of the lens for manual focus, plus two command dials – one on the top plate, and the other around the D-pad. A continuously updated set of images from the camera can be found here on my Flickr stream. I got the impression that this camera launched to a decidedly lukewearm reception; issues mainly to do with a) price, b) a ’slow’ lens, c) slow focusing, and d) ‘only’ 16MP, instead of the newer 24MP sensor. At around the $1,100 mark before adding in exorbitantly overpriced accessories (viewfinder, hood), it’s comparable to the X100s, Sigma DPs, and cheaper than the Leica X2 and Sony RX1, though I suppose the latter two have premiums attached because of the red dot or full frame sensor. Despite all of this, I had to try one: this might finally be the large-sensor 28mm compact I’d been looking for to replace my GR-Digital III, and perhaps also the Sony RX100, whose files were surprisingly excellent, but lens performance at 28mm left a lot to be desired. In the meantime, Ricoh has also launched its GR V, with an almost identical spec sheet and gestalt with the exception of two things: price – it’s $400 cheaper at $799 – and AF speed, which is claimed to be just 0.2 seconds. I don’t know exactly how much faster that is than the A, but I do know the A can take upwards of half a second if you pick the wrong kind of target. I also know that in the Ricoh GR-Digital tradition, the GR V will have proper manual focus implementation, too. How it performs remains to be seen – I will endeavour to do a side by side comparison between the A and GR V as and when the latter camera is available. B&H were kind enough to supply a review sample during my stay in New York for the Outstanding Images Workshop tour, along with the Fuji Finepix X20. Initially, the one thing I liked about the camera was its build-feel; I had the black version, which has the same spatter-paint finish as the pro-grade Nikon DSLRs. It doesn’t have the same engraved marking as the Fuji X20, nor a sticky rubber grip area. Instead, it makes do with the same little (faux?) leather-covered bar on the front. 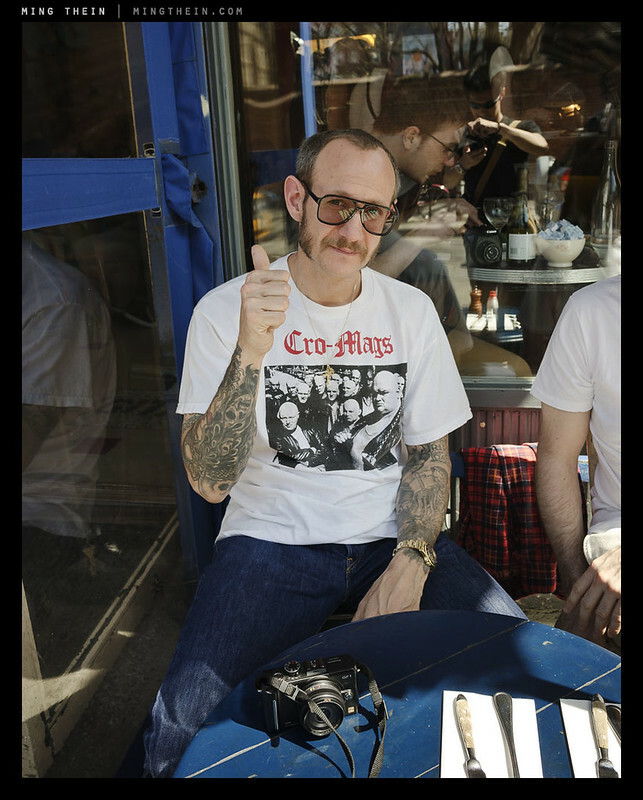 I bumped into Terry Richardson while out testing the camera in SoHo. 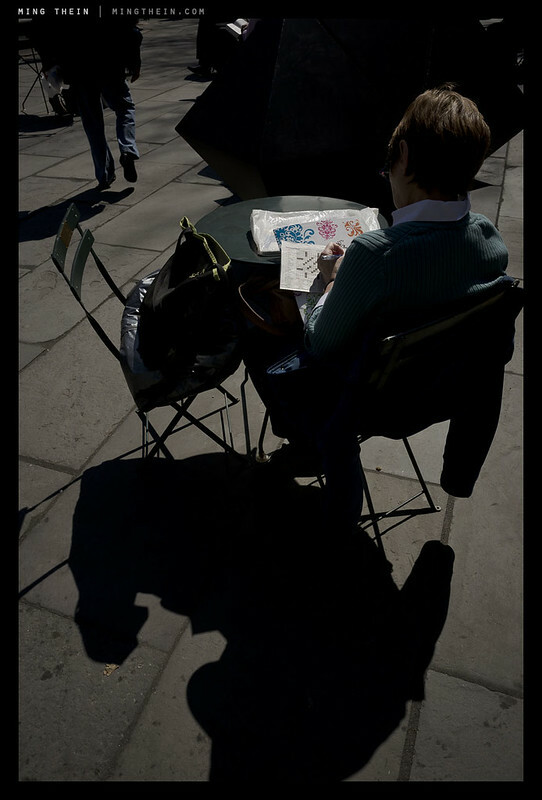 It seems he enjoys 28mm too – note 14 pancake on GF1. It’s a solid, weighty little unit with no play or wobble anywhere, and pleasingly tactile controls; the buttons have weight and travel, and the dials click nicely. The manual focus ring has the right amount of damping too, though it’s somewhat rough and tends to catch fingernails. There’s also a much shinier silver version that’s finished differently; the mix of concentric machined, brushed and matted surfaces remind me of a camera from another time. It’s beautiful, but not really what you’d call stealthy, though, so I opted for black. Importantly, the Coolpix A is pocketable: the lens extends and retracts very quickly, with a flick of the spring-loaded power switch that surrounds the shutter button. (You can also power it up in playback mode without extending the lens by holding down the play button for a second or two.) This is a quick-draw camera. Too bad what it gains in ready time, it loses in autofocus speed. The trouble is, you can’t really predict when it’s going to slow down; sometimes it’s as fast as anything else, but at others it’ll hunt. It doesn’t have the same positive lock-on as say, the Fuji X20 or Olympus OM-D. Subjectively, I found it to be comparable to the Leica X2, or Ricoh GRD III (not IV, that has phase detection). It’s usable, but not lighting fast; I’d say just on the right side of fast enough. Zone focusing using the manual focus setting would be an option – and my preferred method of shooting, actually – if only the camera would remember the selected distance when the power was cycled; it instead defaults to infinity. 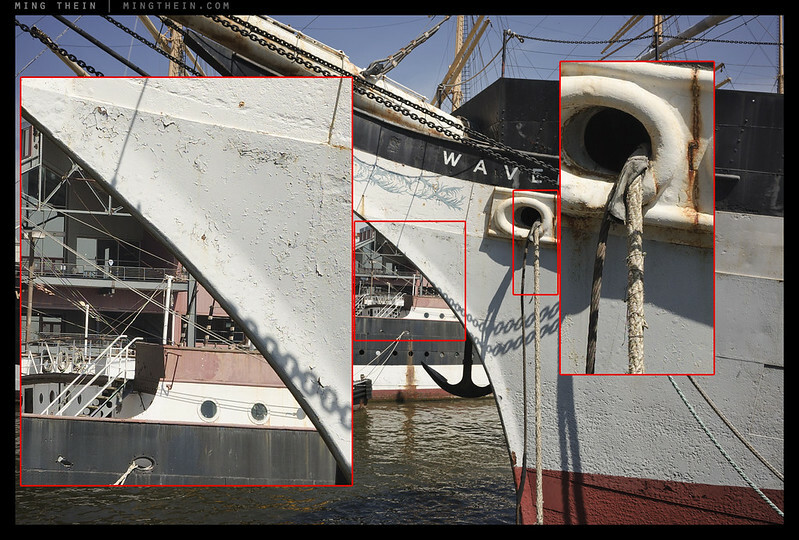 Oh, and there’s a distance bar, but no depth of field markings. Nikon could really learn from Ricoh here; the GRD series not only remembers the last set distance, but also shows you a depth of field scale that changes with the selected aperture. In every other aspect, the camera feels just like a shrunken Nikon DSLR; perhaps somewhere between the D7000 and D800, with the controls of the former and the build of the latter. Anybody who’s used a recent Nikon DSLR will be instantly at home; the menus are the same, as are the button functions. There’s even an ‘I’ button that brings up shooting info/ settings that can be changed on the fly. I presume this must be designed for use with an external finder, but annoyingly, the LCD can never be turned off. You’re always going to have a glowing face even if you use a hotshoe finder. I thought I was missing something, but it seems that the manual agrees – it even suggests just dimming the LCD for use with an external finder, which is hardly practical or a solution. Despite having the LCD on all the time and powering that large sensor, I found battery life to be surprisingly good; 500-600 images per charge was routinely achievable. Coming from this perspective, what I notice first is what’s missing from the ‘best of’ Nikon control paradigm; they do get a lot of things right, however. -You can’t set custom file names. The OK button can’t be set to zoom to 100% in playback mode. The built in flash cannot be used as a wireless commander (this is inexcusable given the price and the fact that the cheaper P7700 has this capability). But even worse, even an SB900 or SU800 attached to the hotshoe cannot serve as wireless commander – you can have TTL and the manual modes, but that’s all your getting. Admittedly I’d probably never use this function, so it isn’t that big a deal. Very oddly, primary and secondary command dials do the same thing unless you’re in manual mode – once again, the P7700 also does this; except even worse, it’s got three redundant command dials. You can’t set one to be quick exposure compensation in the same way you can with every single other Nikon DSLR. Though there are U1 and U2 custom positions on the mode dial, it seems to remember only one set of custom functions – so ideally I’d like one setup with spot meter and AF on the shutter for when I have time and want to prefocus, with the other position with AF moved to the Fn1 button and matrix meter for run-and-gun street mode. No luck – you have to have one focusing setup or the other. At least you can still assign it as one of the ‘My Menu’ items. Auto ISO isn’t selectable from the ISO menu – you have to enable/ disable it from the menu instead of having AUTO, 100, 200, 400 etc. Access to video recording is convoluted – there’s no button or mode dial position, you have to change the drive mode. This of course means you can’t shoot an image while recording a video. It’s interesting to note that every single one of these things is easily fixable via a firmware update. Nikon could turn this into a GRD-series killer (except the GR V will almost certainly raise that bar again) with a little bit of code and no hardware changes; for the benefit of all photographers, I hope somebody from the mothership is reading this. Undoubtedly, the camera’s showpiece is its image quality. The lens is a dedicated design matched to the sensor, and is stunningly good; it’s sharp everywhere, at every aperture. Lateral CA is minimal to nonexistent, and longitudinal CA is completely absent. This is all the more impressive given the size of the lens and the fact that it doesn’t even extend that much in the shooting position; the rear element must be very close to the sensor indeed; I suspect there’s some voodoo going on in the optics or microlens design. Since the GR V was launched, there’s been quite a bit of discussion about the corner performance of this lens – specifically the samples posted on DPR. All I can say is that I think they got a bad sample – the corners of my camera look nowhere near as poor; in fact, they’re pretty darned good even wide open, as you’ll see later. Tolerances for an optic of this sort are pretty tight, so I wouldn’t be surprised if QC issues are the cause of this. Whatever Nikon have done, it’s an outstanding optic that outresolves the sensor at pretty much every aperture – no mean feat given the sensor itself is no slouch. More importantly, the way it renders is very pleasing indeed – plenty of microcontrast bite, in a way that reminds me of the Zeiss ZM 2.8/21 Biogon/ Leica M8 combination but without the vignetting; it’s even better, I think. I have a feeling it will probably perform very well on the new 24MP sensor, too. It slices things into clean planes, much like the modern Leica ASPH designs. To those who find the lens too slow: f2.8 is about as good as most of the premium film compacts (GR1, Contax T, Nikon 28/35Ti, Mju II etc.) got; and I’d much rather have a compact and outstandingly good f2.8 than a merely excellent f2 that I’ve got to stop down to achieve optimal results – especially in something that could possibly be pocketable. There’s a reason why Leica’s ‘ultimate 50mm’ is a f2 APO-Summicron and not a f0.95 APO-Noctilux. Why they didn’t use the 24MP sensor is an interesting question; I’ve found that due to the lack of VR and holding-at-arms-length, you’re going to need higher shutter speeds than you think to get critical pixel-level sharpness; I’ve got my auto-ISO cutoff at 1/50s. More pixels would mean even higher thresholds, more precise focusing requirements, and a more limited shooting envelope for most. That said, given the quality of the output as it stands, I doubt there’s a need for more resolution for most applications: the resolving power of this lens-sensor pairing is simply incredible. I think you’d have to go Foveon to get any more resolution out at the pixel level, and even then, the difference is going to be marginal. I think the examples below illustrate this clearly – what’s shown inside the red boxes is a 100% crop at the size you’re viewing it at. Note the resolution performance even into the far corners, and shooting into the sun with no hood. And now a similar illustration of dynamic range: The first image is as-shot and a straight RAW conversion with zero adjustment on any of the exposure/ highlight/ shadow sliders; the second image is what’s recoverable with minimal noise and no clipping (base ISO); the third image is finished and seasoned to taste. The sensor itself is a known quantity: it has excellent color, dynamic range and high ISO performance; ISO 3200 is not too bad, and I’m fine using 6400 for emergencies. There is a noticeable boost in fine detail and sharpness following the removal of the antialiasing filter; files that are critically sharp require little to pre-output sharpening. The sole thing I don’t like about the it is that the tonal response is very linear and CMOS-like; this means color is nice, but to achieve the pleasing B&W tones you see here requires a bit of work with the dodge and burn brushes. I think there may be a solution involving the channel mixer and a custom profile, but for the moment I think I’ll just stick to shooting it in color. Despite all of that – and I don’t say this lightly – I think technical image quality of the overall package matches or slightly exceeds that of the Leica M9/ 28/2.8 ASPH or 28/2 ASPH combinations, and far exceeds the Zeiss ZM 2.8/28 Biogon/ M9 combination. (I’ve shot thousands of exposures with all three under a wide variety of conditions, so I’m intimately familiar with the results.) Needless to say, high ISO performance of the Coolpix A is significantly better. There’s also the size/ responsiveness/ portability equation to consider, too. I can’t help but think the quality of the results put the price very much in perspective. The Nikon Coolpix A is available here from B&H in black and silver. Click here for info on the making of this image. Never have I felt so energized by a camera since using the GR1 for travel back in the late 90’s. Absolutely superb and the output justifies the price in my opinion. Actualle the ‘shortcoming you mention: ‘Auto ISO isn’t selectable from the ISO menu – you have to enable/ disable it from the menu instead of having AUTO, 100, 200, 400 etc’ is not really so. The manual ISO-button on the back of the camera does not let you choose ‘auto’ as an option. Therefore you have to dive into the menu to turn auto-iso on or off. Of course bothersome and a shortcoming- if this was actually the case. Today I suddenly discovered that when in auto-iso mode the manual iso-button still does its thing. Meaning that if you choose lets say iso 1600 manually the cameras auto-iso function will accept this and only override this manual setting upwards, that is, choose a value higher than 1600 if you reach the lowest acceptable shutter-speed you have set. If you then want the auto-iso function to work freely in auto-mode you just set the manual iso-value to 100. To me this solves the quirk of not being able to choose ‘auto’ via the manual iso-button. The camera combines auto and manual iso-setting in an intelligent way it seems to me. OK, thank you for your reply and your brillant review. I realize this is an old review, but have a quick question. Does the flash pop up okay with the Voigtlander 28mm viewfinder attached? Thanks in advance! I honestly have no idea; didn’t try it. Still a tremendous camera, though apparently now discontinued. Regarding AF speed, I have to wonder how folks have it set up? AF-S locks on quickly. Many who say AF “hunts” are in AF-C. I saw similar complaints on the Canon EOS-M which had a default setting of AF-Continuous. It could be the difference between the first firmware, as tested, and the current – revised – version. It is a shame that Nikon did not have more success with this camera. A sister camera with a 35mm equiv. lens would be awesome, completing the digitization of their classic 28Ti and 35Ti offerings. While I’m dreaming, maybe a fast 50mm attached to a dedicated sensor! BTW, I’ve been testing the Face-Detection AF mode. Pretty quick! At that price, might as well have the best of both worlds. … and going straight back to Amazon. The lens is crap! Awful corners, especially on the left, and a quick check against my GR showed that it was quite a way off throughout the frame and at every aperture. Obviously Nikon abandoned all QC on the Coolpix A when it became clear it wasn’t going to sell. (This is the second Coolpix A I’ve sent back… which is how I ended up with the GR in the first place!) If it looks too good to be true then it probably is! I’m twenty-one months late, but someone pointed me here when I bought my (silver) Coolpix A today. I can hardly put it down. The wait for low price was certainly worthwhile. Your review and comments following it were like attending a seminar. Thanks for the inspiration. I can grow into this camera for some time to come. Heck …I’m even later…but picked up a Factory Refurbished version with a third party 3 year warranty for $374.00 shipped… and I also can’t put it down… and at this price its a ridiculous steal… I do wish that Nikon was more like Fujifilm though and would issue a Firmware update to fix a few of the niggly things mentioned in this article… namely, remembering manual distance, and using flash as wireless commander for Nikon’s lighting system… this camera will travel with my D810 and it would be nice to be able to use my SB600 and SB700 off camera since I have them with me… Still, a very nice picture taking camera for the price I paid for sure. Do you mean that you use AF on AF-S with AF-ON on Fn1? Precisely – AF-S with AF-ON on the front button. Did you use wide AF or Norm AF for the AF zone? You said you used the AF and the spot meter. Is the AF efficiency different if you use it with the matrix meter? Normal AF. No idea whether the meter affects AF – I can’t imagine why it should. Nikon Coolpix A or Leica x2????? Coolpix A. The X2 is overpriced and the lens is worse. My impression so far is that you perhaps like the A over the GR because of the color rendering and metering. The GR may have superior handling and snap focus yet to my perception despite all of your photography being outstanding. I am enjoying your Coolpix snaps on Flickr very much and more than the GR. Have you made your final choice or buying both? I bought the GR. And posted my rationale about three months ago. Thank you for the answer Ming. 3 months ago o;-( (hole in my head, or bullet to the head) I just invented that emoticon, feel free to use it should the need arise. I just discovered your site and I had trouble finding that information, I tried reading every post on the subject here many times. My apologies for missing it. I appreciate how your blog stands out from all the others on camera reviews. And your work demands respect, I look forward to learning some great stuff from your teaching videos, though I am sure it would be more fun in person! And thanks for the great GR/Coolpix comparison, it was a hell alot of fun. For two reasons, A: photos are so sweet and B: Writing is styling with information given from an obviously well understood perspective and not dry. It’s all in the right context of usage, if that makes any sense. Hate those sandpaper reviews with no real art to hold it up. Have to say it was one of the best written and informative reviews I have ever read online, or print. I’m surprised these articles don’t get printed in a magazine. They are so far superior to most content being used in the UK mags. I love my UK camera mags. I especially enjoy your serious nature, maybe on the videos you sneak in a smile? 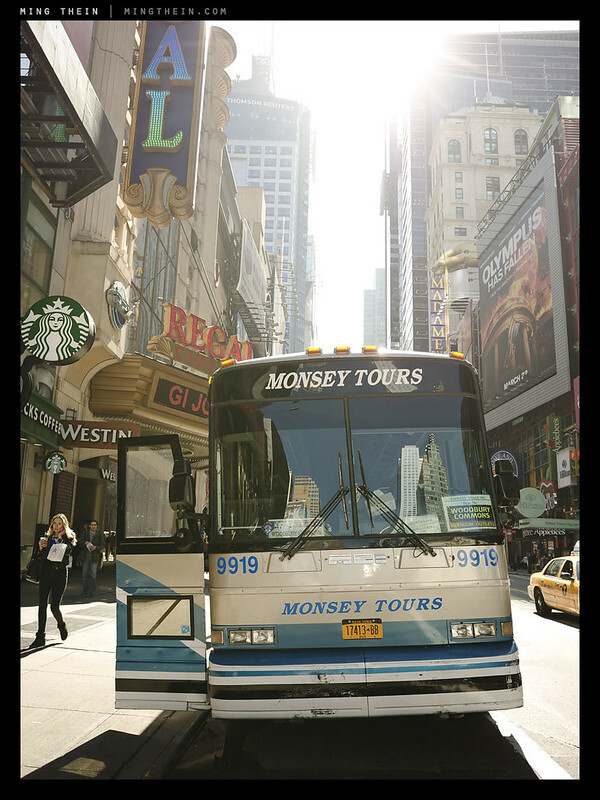 That Coolpix photo of the Monsey Tours bus made me smile! Oh and wait, the couple eating outside is sublime, but feisty, great backlight with wonderful tonality across the figures. This would make a super print. Ok, Ok , Ok thanks again. No problem. There are jokes in the videos, but they’re strange. Blame it on the dry sense of humor I got from living in England too long! This content is not reproduced anywhere because I choose to keep it exclusive to this site only. That, and frankly, none of the magazines are objective. They cannot afford to be, because the camera companies are their advertisers! I know because I was editor of a magazine here for several years; I quit because I disagreed with the owner/publisher’s policy of pleasing the advertisers at the expense of integrity. I fully understand the dry English wit being an Englishman trapped across the pond in the States. I look forward to the jokes and any errant double entendre that may lurk about, as well. Of course the magazines put the bottom line first and foremost, agreed. Yet I must find the proper camera before my return to Manchester! Oh and thanks to your lively comparison in this review tween the Nikon Coolpix A and Leica, and the hauntingly fab photos you have on your Flickr site, I haven’t been able to bloody sleep at night. Oh but why? I have already read it but now must return and comb through it again, searching for hints and clues. Certainly Sherlock would be able to perceive them and I as his able stand in, assistant will not shirk my responsibilities! I think I have read the Coolpix review perhaps 8 tens, going back in for the 9th. To get the whole Fn1 workflow. But i am very interested in your choice of the GR over the A. Because my friends from Briton are here and we have been pouring over your Coolpix photos, oohs and ahhhs all around for Coolpix. Love the micro contrast, metering, and color rendering with it’s pop value. Even used to tags function on Flickr, to hunt down all your coolpix snaps to oogle at as our fellow countrymen are quite in awe of your skilled ways. All in favor of Coolpix A say AYE, or Yea depending on your country or origin. All against the motion of bring the GR home say NAY. So far the Nays have it. Hope that wasn’t too bloody long winded, mate. OPs must say the EM1 has been getting some serious stares of amazement. 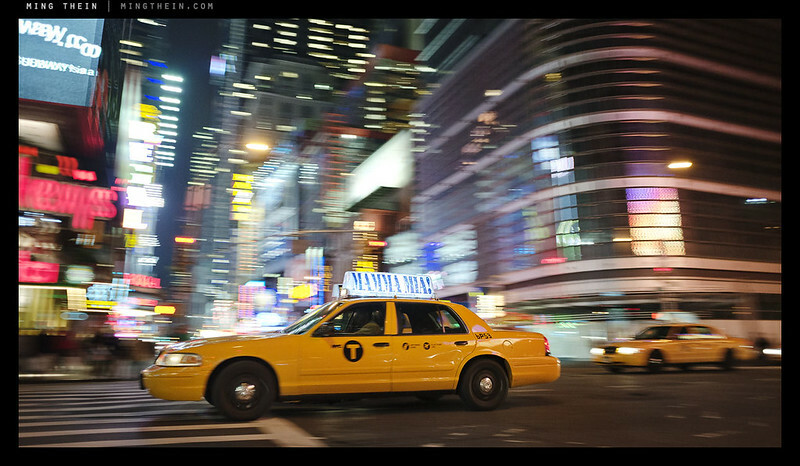 Nice yellow cab shots. Rationale is documented here. In short: if you want to shoot color, buy the A. If you want to shoot B&W, buy the GR. That’s pretty much about it from my point of view. Much thanks for cutting the search down. Look forward to seeing your snaps in the future. I think snap focus had a hand in it’s choice. I hardly use it, actually. Well there goes my last hypothesis. Smile. How does it compare to the Nikon D600 with the 28mm 1.8G set at f2.8? The A’s optics have more resolving power and better corners; the D600 has better noise and dynamic range. Total resolution is about the same due to the A’s lack of AA filter and better lens. Regarding the size issue, I would not want the A to be any smaller than it is! For my hands, anyway, it is about as small as I would want, with a texture, on the black model, anyway, that allows me to hold it securely, without fumbling. (My palms are large but not wide, and my slim fingers and thumbs are medium to short in length.) When the sales person handed me an A that day, I expected to be disapponted, with yet another too-small camera, but the A filled my hand just well enough to enable me to hold it, in one hand, as if it were a miniature SLR. Of course, this is my individual preference. Thank you for the great review. As I read it, the aspect of this camera I found most critical to my interest was the physical size of the camera. In my view, the Canon S90 is just about the upper limit as far as being truly “pocketable.” Is this camera significantly larger than the s90? As far as technical innovation, as it concerns image quality, I find my D700 is still more than adequate to my abilities. I am sure the IQ of the A will suite me. This camera comes along at a bad time. I was just about to pull the trigger on the new Sigma 35 1.4 for use on the D700. Now, for a bit more I can have a whole new toy. Thanks Ming..
Short answer – yes, it’s noticeably bigger. The A has better IQ than the D700 and any 28mm I can think of. Thank you for the review Ming, and a special thanks for your useful Fn1 AF-On idea, and also for your astro image (I do some astro imaging also). I ordered the camera from B&H yesterday. The international Nikon site has an MTF diagram for the lens, IMO it compares very favorably to both of the current Leica 28mm’s. Just a quick question on Fn1 as you said in your review. I currently have it set to AE/AF lock. Is it what you have it setup??? Please clarify it for me. What about Fn2 as well??? I have it set to ISO. Thank you for your time. Fn1 is AF-ON. Fn2 is metering mode. Would you please tell me more about the metering mode on Fn2. I have Fn1 is AF-ON and Fn2 is on metering mode. How would you shoot it?? I press on Fn1 to get the focus and press Fn2??? It seems I did not do it right. 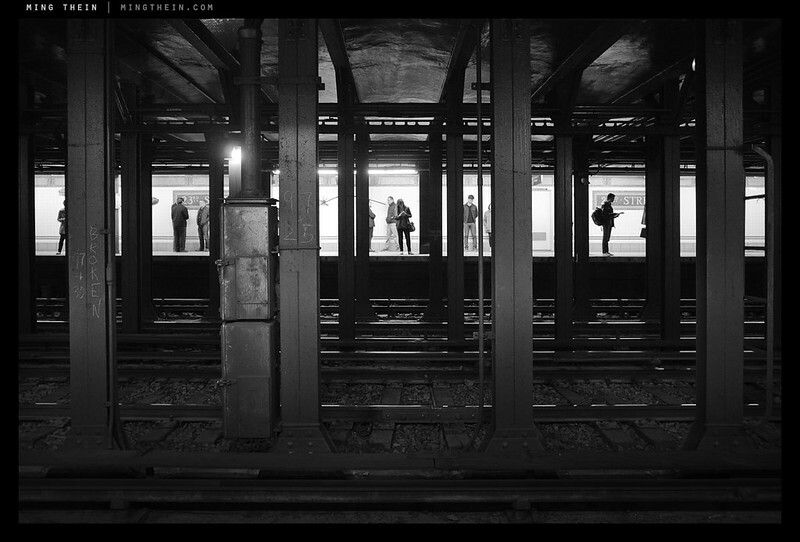 BTW, I am on Aperture most of the time and sometimes on P mode. Would these settings work??? Fn2 is to change metering mode. Works fine for either A or P, but I tend to use spot meter with A and matrix with P – different levels of control. One is closer to being auto, the other for deliberate, precision work. The Nikon site gives the LCD AS glass – do you know whether this is so and not plastic as usual on cameras. It would be nice not to have to use a protective cover! As usual, a joy to read and view. I’ve been using the Coolpix A for some weeks now, and I agee with your findings. While I haven’t made any meticulous testing, I’ve simply just enjoyed it. I take it everywhere and it makes me confident that the results will be marvellous – Totally love it! It’a also a camera that underlines the points in your post where you discuss how the feel and quality of a camera can actually make a difference to one’s photography. I believe the Coolpix A is such a camera. In any case, believe what you wish. I’ve got a camera here with edges that are nearly as good as the middle – why on earth would I claim otherwise? If the opposite were true, I probably would have given up on it. Instead, I’ve had it for about three weeks, and it’s got more shots on it than the D600 I’ve had since release. I’m not suggesting I don’t believe you. Just wondering if this might suggest serious QC issues. The RX100 focuses a bit faster, but the A performs much better in macro – nearly the same minimum focus distance, and unlike the RX100, it’s very sharp wide open (you have to go to f5.6 to match with the RX100). The numbers say faster…real life, well, we’ll have to see. Fast is no good without accurate. Thanks for this very informative review! Some things about the A are disappointments, such as the in-built pop-up flash being unable to act as a Commander, but overall, I am liking the A. (An SC-28 should enable a limited amount of off-camera flash.) I want to support a local dealer, so will not use your B&H link to purchase, but I have just sent something via Paypal, in sincere appreciation. Thanks for your support, Rex! Have you tried some macro shots ? How does the bokeh look ? Thanks. Yes, sharp at 2.8 even at close range, unlike the RX100. Bokeh is not bad, but not as good as the samples I’ve seen from the GR. Hmmm. Another camera that’s expensive ( by the time you’ve added the necessary finder ) and with a sprinkling of the usual compromises. can’t get excited about it somehow.Here this week until another bus ( GR) comes along next week. Still it’s always worth reading your excellent reviews Ming. They don’t come any better! I think I’ll stick with my GR1vs and T2 plus some film until they get the digital compact design just right. And for the price they are asking for these things I think they should give you either a built in finder OR an accessory finder with the camera because let’s be honest, a back screen is useless in bright light outdoors. Voigtlander ( I never could spell that word!) can make perfectly good finders for a reasonable price so the camera companies should be able to manage that too and include it with the product. Sorry I’m big on the viewfinder issue and it’s the first thing I look for when I’m shopping for a new camera. And after you’ve used a Leica the Fuji X20 style view makes you feel like you are on a submarine taking pictures through a periscope! Thanks Steve. I’d pass on the accessory finder. It was a nice idea, but I just didn’t use it in practice. To be honest – I was very, very close to buying the A, but have decided to reserve judgement until I can shoot with the GR for a bit. I know I’ll buy one or the other, but at this stage, I’m not sure which one. Everything feels like I’m on a submarine after shooting with the PME and Hasselblad…even my D800E. Hah! That’s not a bad idea. So you have all the cameras at your finger tips and can fiddle with them, reading your blog confirm me you are “photo reliable” (sorry for that but coming from me it is a compliment), so I believe you when you seems flabergasted by the sharpness of this little camera, that’s quite interesting. 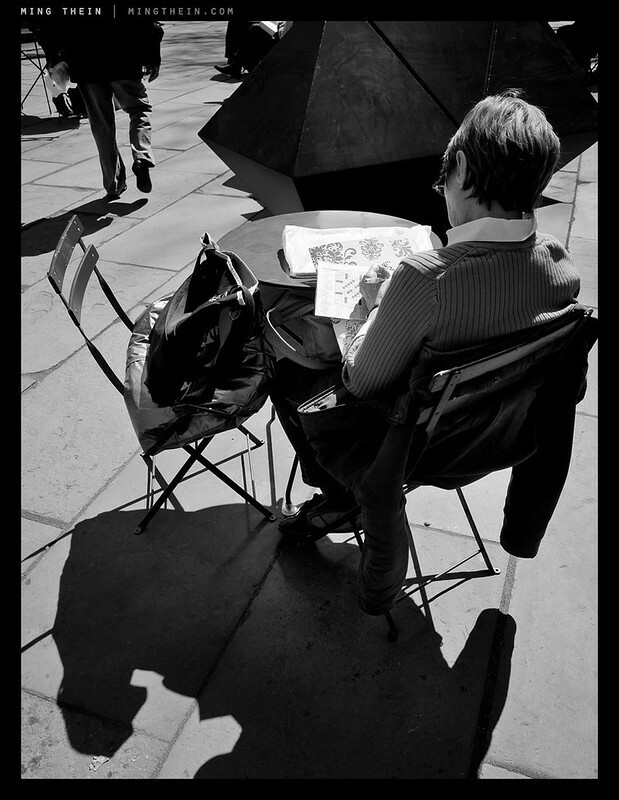 What I noticed in your B&W pictures is the old Nikon’s demon of the film days ….burried shadows. Actually Nikon got its reputation due to this, people mistaking contrast with narrow range. Trusting your habilities, I don’t know if this is due to Nikon default settings or you couldn’t managed to get an appropriate post treatment or you like it the way you present it and why not. 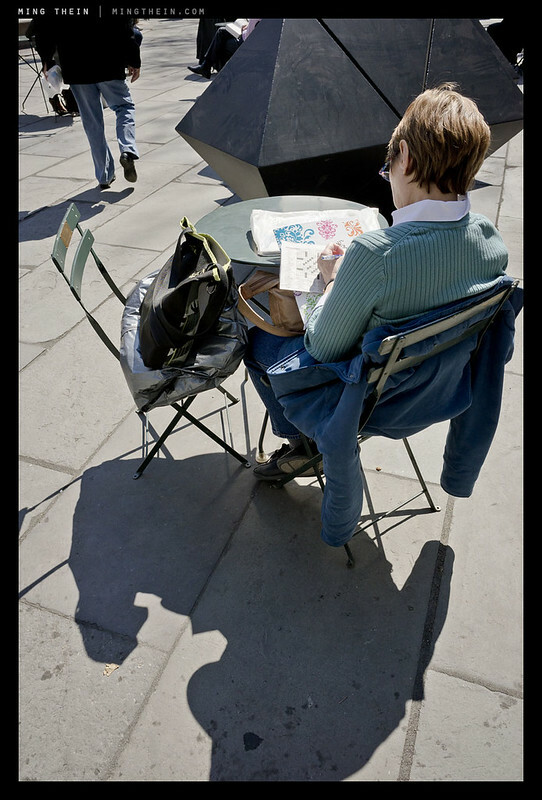 I am wondering because you show three pictures of this woman sitting on a chair and it seems you could do virtually anything in post with this file. Haha, only thousands? Oh wait, it’s film 🙂 Thousands are what I normally go through in a day of travel shooting. 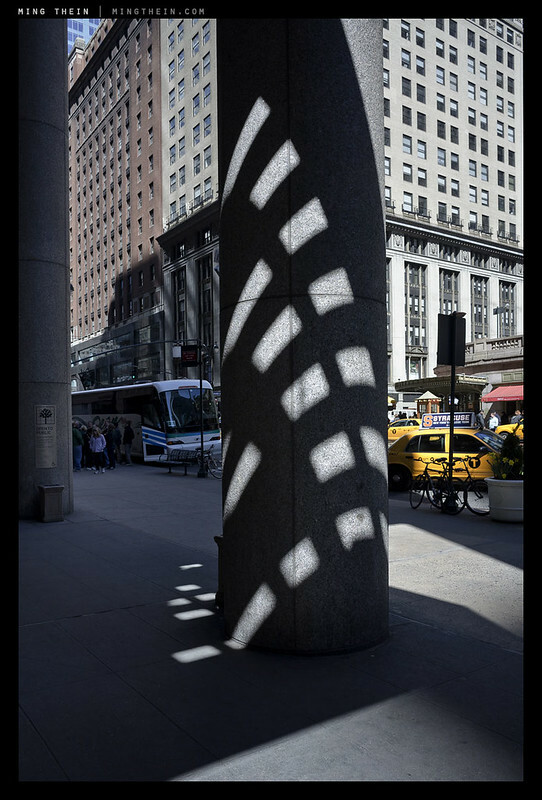 Short answer on the shadows: the light was very harsh on most of these days, and I was editing on the fly with my Macbook Air 11″ – which has a terrible monitor – so the final tonal grading isn’t as good as I’d like it to be. Processing on my 27″ Thunderbolt display is much easier. That said, I think I know what you’re talking about – it’s a ‘flatness’ that seems to be common to the 16MP Sony APS-C sensor that requires some PP to overcome. I believe it’s due to the native tonal response of CMOS sensors rather than the lens, which IS high contrast but not as blocky as vintage AI glass (I’ve got/owned plenty). About that CMOS linearity and poor B&W rendering (compared to the Ricoh GR): is there any automatic way to correct this that is available, maybe as a Photoshop preset or Nik Silver EFex settings? How would simply bringing up the highlights and bringing down the darker areas work … sorry this may be too simplistic, but I haven’t had the time to master much in that area. Would it be possible to see a “plain” (flat) B&W conversion with one of your optimally tweaked B&W conversions, for educational sake? I am much more interested since that Coolpix A is now being sold off for a bit less than half price ($480 or so as of 12/2014). At that price, better than a 28mm lens for many DSLR bodies. 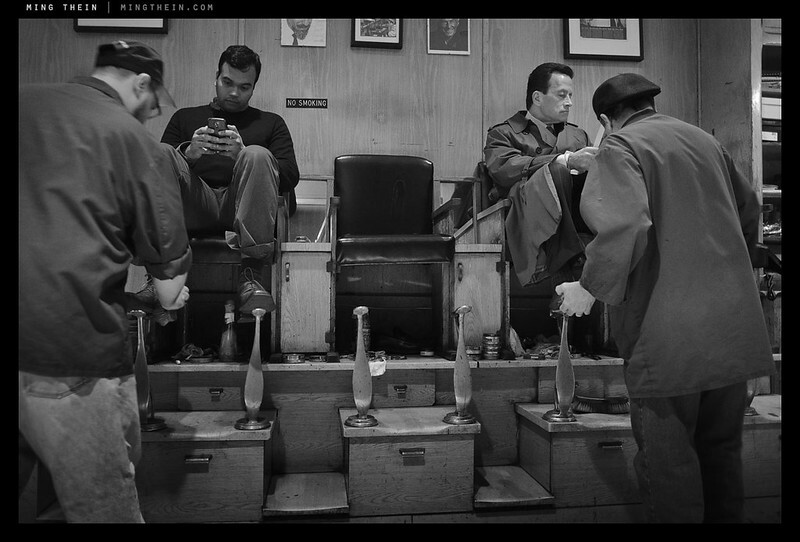 I do these conversions with several different cameras in the Monochrome Masterclass video. There’s no way to correct it because it has to do with the response of the sensor upstream of writing the raw file; once something is clipped, it’s clipped. Ah – sounds great, thanks for the note – will start when I know I’ll have enough time to follow up .. right now wouldn’t want to cut into my little shooting time. Meantime then, shooting to preserve as much info right and left (highlights and dark areas) depending on the sensor used – in the case of the Coolpix, seems like even (since it is set to be able to correct in camera +2 to -2 .. as opposed to -1 to +2 for the Fuji X100s). Nice article following the previous one, which discussed compacts and the choices/compromises they imply. 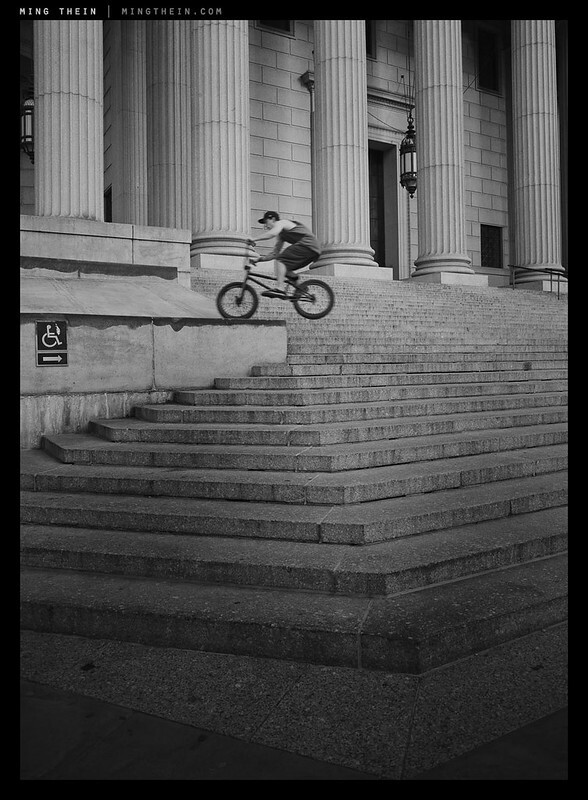 – I especially like the pic of the blurred BMX rider jumping over the stairs, against the fixed handicapped sign; great semiological contrast. – I recall reading that to you, aperture control isn’t important on compact cameras since the tiny size of their sensor does’nt allow for much DOF control anyways. What I’d like to know is if an APS-C sensor does change anything to this statement. In other words, did you value playing with the greater DOF allowed by the Coolpix A’s sensor? Did you find yourself giving much more thoughts on the apertures than, say, on the RX100? Thanks Nico. 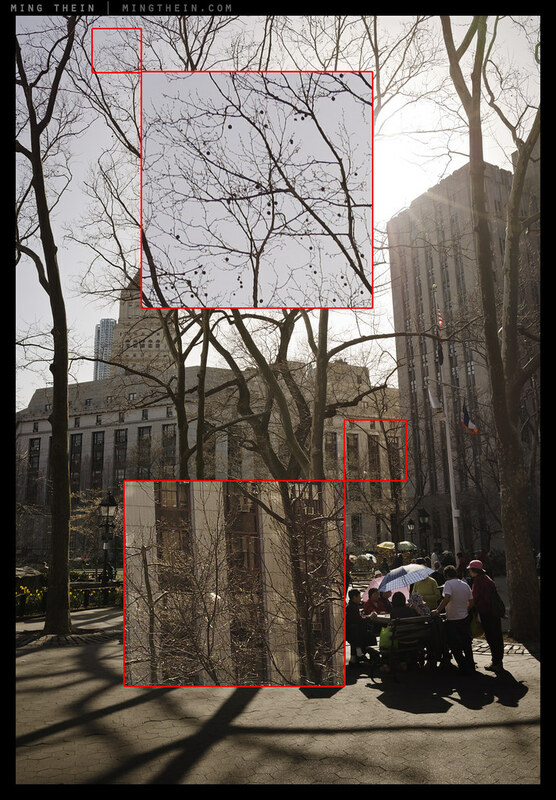 Yes, the APSC sensor requires you to be a bit more careful with the chosen aperture – but an 18mm real focal length won’t show much defocus anyway unless your subject is very close. 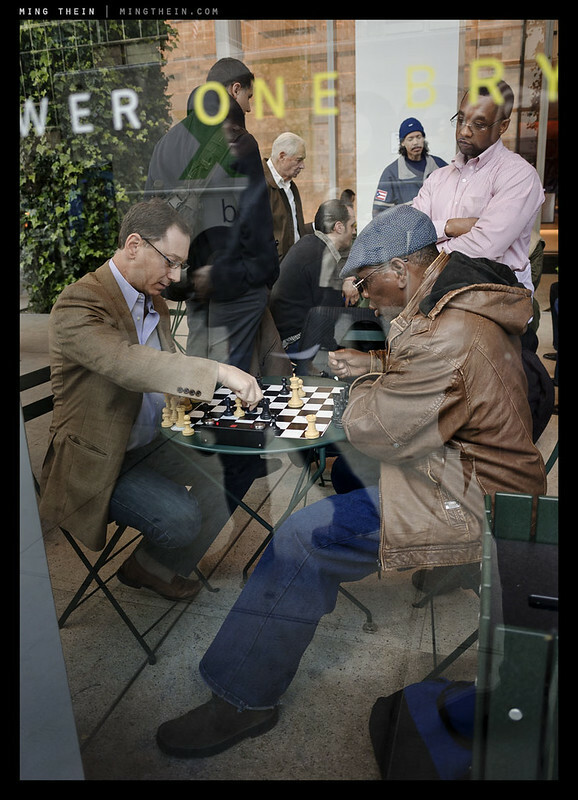 I only switched over to aperture priority with close subjects. As noted in the comments after your quick X20 / Nikon comparison, I don’t have quite the same issues with some of the firmware fixes you do. For example, the “sticky” manual focus location has proven to be a non-issue to me in use – the camera comes on set to infinity and the typical 4-6 foot area where I’ll go for most zone focus situations takes me about a half second to arrive at. When I first realized it wasn’t sticky, I was really bummed out, but in use, no issues. Same with the Sony RX1, BTW – not sticky, and not an issue for me so far. I sort of turn on the camera and start moving the focus ring with one motion and I’m set as fast as I could be if it was sticky. Second, regarding auto-ISO, I agree it would be nice to have auto ISO available from the ISO menu, but this also hasn’t been a practical issue. Because the auto ISO is so well implemented with a minimum ISO, maximum ISO, and minimum shutter speed up to 1/1000 of a second. So I almost never end up switching out of auto-ISO with this camera. One other sort of hidden feature requires programming the fn1 button on the front of the camera as a second exposure compensation button. When you use the fn1 button for exposure compensation, you can shoot in manual mode with auto-ISO and still have access to exposure comp. When you try to control it from the default exposure comp button, all it does is toggle the control of the main dial between aperture and shutter and you can’t actually bump the exposure up or down. But when you also have the front button set up for exposure comp, its fully functional, so it gives you an effective TaV mode (as Pentax, and now Ricoh, calls it). With this in place, I sometimes switch between aperture priority and manual mode to deal with ISO and shutter speed somewhat differently, but I can just leave it on auto-ISO pretty much all the time. I use zone focus the vast majority of the time for any sort of people shooting with this camera, so I don’t need to use the fn1 button for auto focus. When I’m out shooting scenic stuff rather than street work, I just use the focus switch on the side and don’t care much about AF speed there. Even in very low light, the sensor is good enough to allow for use of zone focussing until conditions get past the point that AF would work well anyway. I, too, am looking forward to the Ricoh GR because I’ve always loved their interface. But I actually prefer a rotary focus ring to snap focus with a discrete number of settings, so I think there’s a very good chance I go with the Nikon despite the Ricoh’s lower price. But if the Ricoh’s IQ matches the Nikon, it’ll be a tough call. It’s not set to infinity – slightly further (why it overshoots, I don’t know). 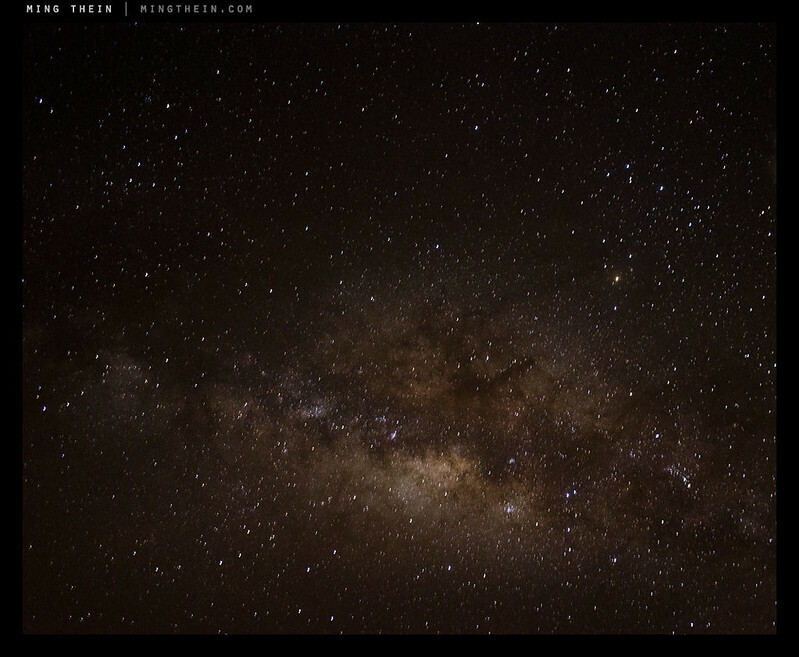 When I was taking the star shot, it was obvious the camera was going beyond infinity and had to be pulled back slightly. I agree though, it’s not such a big deal in use anyway. The two-dial Nikon DSLRs have the same EV comp behaviour in manual mode – I use it all the time with the D800E to control overall flash output. Still amazed you say it matches the M9/Elmarit 28 combo. That is some achievement by Nikon. 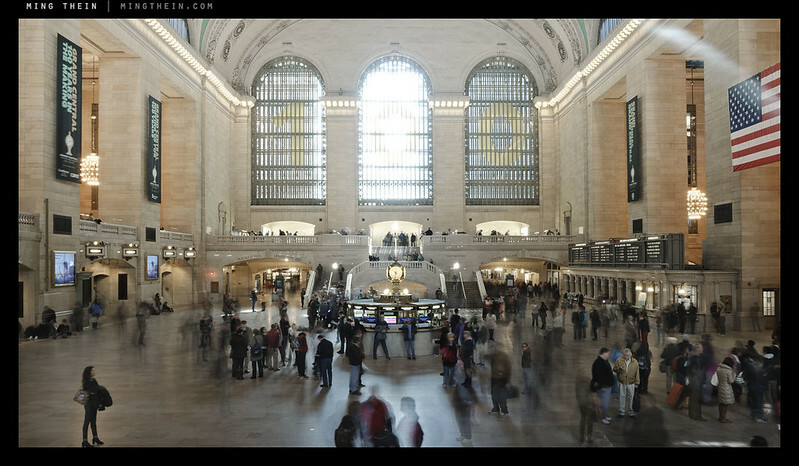 How would you rate the IQ up against the Leica X2 you reviewed last year? Thanks! The X2’s lens required stopping down to f4 before it matched the sensor’s resolution; this is an upgraded version of the same sensor with no AA filter, and a lens that’s already excellent wide open – in short, a definite clear step up, but not an enormous difference. Thanks for review and the very useful tip regarding AF-ON on the Fn1 button. I’m getting more and more pleased with the camera not least because I didn’t expect the image quality to be that good. How big a picture can one print with such a camera before the image quality begins to break down? How big would you go with a D7000, or a 1DsII? All three have the same pixel count, but the A has the highest pixel-level quality of the three. I’d say so long as your limiting factors aren’t your technique, then 20×30″ and beyond is no problem at all; beyond that, viewing distances will increase faster than requirements in pixel density. 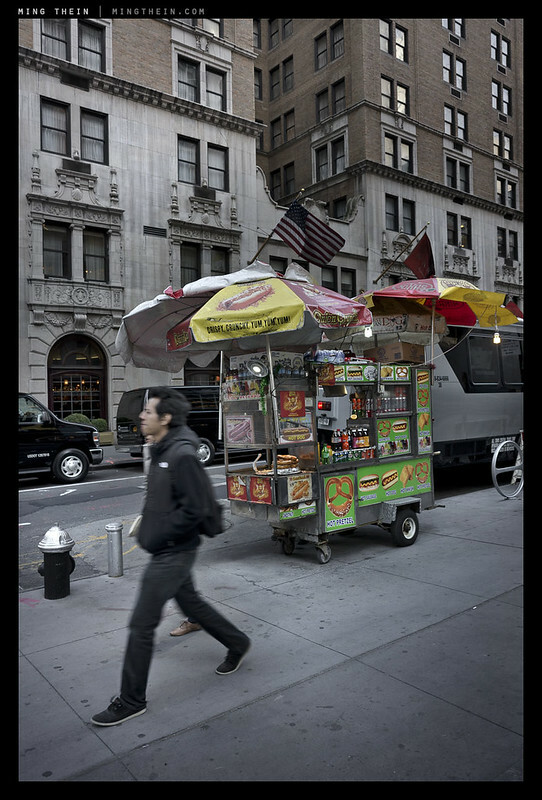 Vignetting at the corners is of a degree I would only expect to see on a 21mm lens. Worrying. Surprised by that. Sharpness is just as good as i would expect from Ricoh, color quality maybe a little better than I would expect. Let’s hope. No, it won’t: speedlights permit TTL only when attached directly to the hotshoe. The built in cannot be used as commander, and strangely, even a commander-capable speedlight will not work in commander mode when attached to the hotshoe. Not that accurate, but yes, it stays put just fine. Is there any info on quality of shutters from one camera to another?..eg If the Coolpix A and Ricoh GRD V were fired continuosly together which would give out first..If the nikon build was better the extra money would be worth it..I had a couple of cameras over the years with shutters that died. Nope, that data isn’t published. But given that both use tiny in-lens leaf shutters and you’re not going to be machine-gunning them like a DSLR, chances are you’ll get bored of it or want to upgrade for some other reason before the shutter dies. I’ve never had a shutter die in a compact, even after tens of thousands of exposures. I feared the first part of your response, thanks. Thanks for this great review, Ming. This camera looks very promising! Such compact cameras always remind me of my ultimate dream camera: That would be a body the size of the Coolpix A or Sony RX1 with a full frame sensor and interchangeable lenses that are reasonably fast but also very light and compact like a 21/4, 28/2.8, 35/2.8, 50/2, 85/2.8. Of course that would not be pocketable but still a far more convenient choice for me than lugging around a bulky DSLR with big lenses. And of course that cam would need a good handling, AF and anything else that matters, too. Technical limitations, or price restricting ultimate market size, probably. Another pocket 4×5. Great IQ and slow, SONYized operation. I won’t hold my breath for ‘update’ software. Many capabilities can be added or enhanced with software updates, but I can’t think of any manufacturers that have done so. (There have been a few software repairs, but none of the manufacturers have supported true downstream product enhancements). All of them can produce great lens/sensor combinations, but they are still stuck in a rigid embedded system model. Why Sonyized? Doesn’t operate anything like a Sony, there are plenty of external buttons and scope for customization – it operates like a midrange Nikon DSLR. It’s also not slow at all if you zone focus. Actually, Ricoh routinely does feature-enhancing firmware for its GR series, and Nikon have done it a couple of times, too (Auto-ISO introduction being the biggest one). So whilst it’s unlikely – in the case of Nikon – it’s still possible. That said, I consider these changes fixes rather than enhancements. Hi Ming, For the first time I am thinking about how a camera like this might be a good choice as an alternative to a 28mm equv for either of my two system cams (OMD and NEX). Though more expensive than a 28mm-e lens alone, at least the Ricoh isn’t too unreasonable… and you have a backup camera to boot! I am curious how one can figure out that a lens (the one on the Coolpix A) “outresolves” a sensor. Easy – detail starts breaking apart because of Bayer demosaicing (i.e. there are stairsteps or jagged edges on single pixel-width details); any hard edges are well-defined and transition over one pixel, not over several pixels. Furthermore, there is no visible CA. Already requested, I’m told mid-May. I do wonder – could this be a nice replacement for my Fujifilm X100? In terms of imagequality? Damn, I was hoping it wasn’t so. The only thing keeping me from changing to a X100S is the cost and im also searching for alternatives because Fujifilm seriously burnt me with the bad AF on the X100. I have always liked Nikon and had both a D700 and D7000 which are amazing cameras. Perhaps Coolpix A can make a good impression on me and I sure will try to get me a reviewunit to try. Thanks for the always great articles, they make my life much easier. Byt the way, about the photo at the top. What camera dig you use to take it and will your tutorials (which I might just buy to support your efforts here) help people to get similar crispy results? Best Regards. The A is faster than the X100 by some margin – I had an X100 and didn’t find it usable at all. Faster than the X100, but what about the X100S? Judging from the many ‘serious user’ reviews (Zach Arias, Laroque and others), it’s night and day. I had skipped the X100 as a second, more portable body vs my M9, but I have plunged now and have the S on order. Ming, you should give it one go too (after all, you are half in love with Fuji’s XF1 and X20 except they are not ‘pro’ enough, right?) and let us know. An integrated optical viewfinder is something I personally hate to give up. Re the Nikon, it shall be interesting to see the match against Ricoh’s GRD5. Both seem to sit on winners though and if they went ‘system’ like Sigma with twin models at 28 and 40-50ish equivalents, one could really call it a day. I love 28mm but sometimes it’s just too wide. If I put the 28/2.8 on my M9 I’ll usually have the 50/2 in my pocket; totally minimal, then I pick the 35mm ‘do it all’. 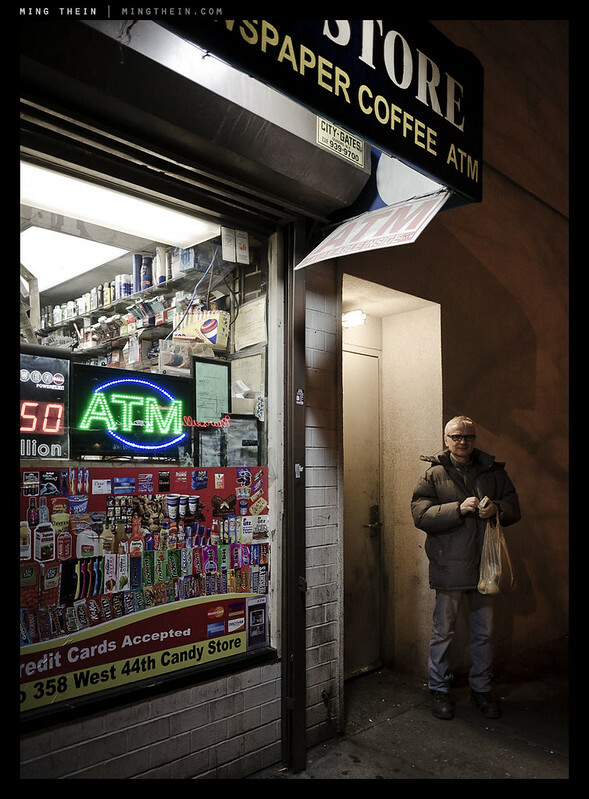 Kudos for your NYC images, man. Hard to say. 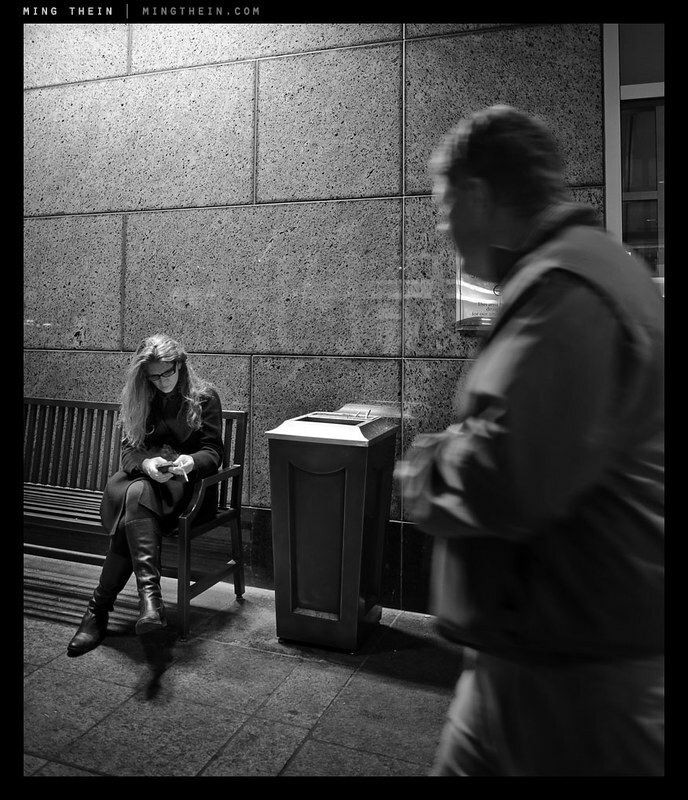 The X100s wasn’t as fast as I expected – faster than the X100, certainly, but a bit slower than the X20. I have requested one to review, but to be honest, the bulk of the thing with the 28mm converter and so-so optics at f2 leave me lukewarm. Personally, I’d rather sacrifice a stop; the GR should solve the AF-speed problem, too. What remains to be seen is if overall IQ is just as good. I don’t think the LR tutorial will happen: simple reason is that I’ve been unable to get a workflow going that a) delivers even 90% of what I want, and b) it’s still slower than working in PS, even though I’ve been using LR for six months now. I don’t compromise, it’s just too competitive out there. Even if a full LR video is not possible. It would be cool to have a LR4 or LR 5 portion then going into Photoshop. Doesn’t make sense – I’d rather work in bridge/ ACR. It isn’t the borders. It’s the lack of control over brushes and parametric logic rather than sequential. There are some things I do that have to be done in order, not added up then applied cumulatively. 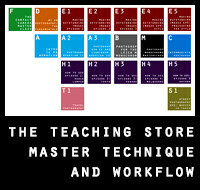 That’s of course aside from the fact that commercial grade product work often requires compositing and retouching and I’d rather not have two different workflows…put it this way: if you use PS for every single image, it’s actually a lot better value than some other bits of equipment you might use no more than a handful of times per year that cost even more…it’s like buying a Ferrari then cheaping out on tyres and wondering why performance is subpar. I see what you mean about parameters, yes one needs to be very mindful of what’s going on especially when playing with presets, they need to be narrowly defined or one ‘action’ might spoil other adjustments you have made. Also, it takes a while to fully adapt to the collections vs folders concept and use multiple versions properly tagged in order to figure out what is what in the intermediate steps. Thanks for your willingness to comment on our silly comments. Thanks for another great review, very useful – seems Nikon did position this cam very well. BTW, If you ever get to test the X100s I’m really curious to hear your impressions re AF speed in face recognition compared to the probably current best of breed, the OM-D (or rather the E PL5 as I like its form factor better). Still waiting for the X100s. The one I played with briefly seemed fast but similar to the OM-D. 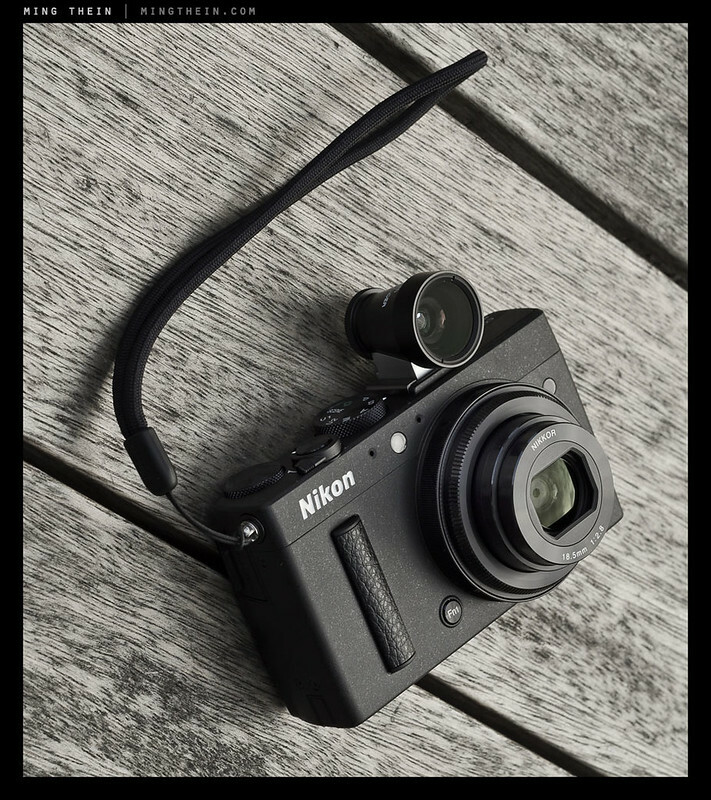 There is so much to like about the Nikon Coolpix A. I really agree what you said about the Nikon one being the camera everyone needed, but no one wanted. That’s also the reason why I was able to get it cheaply for my mother, who needed a new camera. I do believe Nikon have created a winner with this one. It would be sad if this were to be Nikon’s last attempt into this market. Although it does have an uphill battle to climb against the Ricoh. I do have one critism for this article about the Nikon Coolpix A; directed to Ming Thein. Do you think your comments about the feel, function and tactilibility about this camera is a little biased coming from a Nikon background? Do you think it would be a little more harsh if you didn’t have such an affinity for the 800E? No, firstly because I gave a long list of things I didn’t like; secondly, I use many cameras/ systems which gives me objectivity; for the most part they’re okay, but every single one – D800E and D4 included – have some critical shortcomings. The Coolpix A is no different – which is no surprise, given it shares the same control logic. I respect your opinion and response. Thank you. Auto ISO … you have to enable/ disable it from the menu instead of having AUTO, 100, 200, 400 etc. Agh! This is driving me crazy. I’m having this exact same stress with the D7000 [precious!]. This can’t be what it’s like… where can I change something to put the bit after instead of in effect? If I want AUTO ISO, then I have to set it to “on” [along with its boundary conditions] in a nested menu; but the displayed ISO in the LCD info bar remains and is the one I set via the ISO button and command dial, i.e., a number between 100 and 6400, etc. [this number remains displayed even though I’ve just asked for AUTO, within my set boundaries, in a nested menu!? ]; then when I raise the camera and go for a shot it just overrides to the AUTO behavior. Don’t want this clumsy operation [though it’s perfectly useable]. Call me crazy but, I either want it to shoot at the ISO I set, i.e., D7000 please shoot at this ISO value I’ve just asked you to; or I want it to shoot on AUTO, i.e., D7000, please, you choose the ISO [within my limits]. In short, I want what I ask for. If I move the setting away from AUTO I mean I don’t want AUTO. If I set it to on, it means I just want AUTO, nothing more nothing less. Ergo, I want a scale that goes from AUTO to 6400, etc. And so, get ready for this Nikon, when I want AUTO ISO, it’s there on the ISO button and command dial spin for me [below 100, etc]. Not hidden in a nested menu, for crying out loud. I thought I was too, because with the D800E it’s front dial to toggle AUTO on/off, then back dial to change. And in the i-menu AUTO is a selectable setting. You’re not missing anything unfortunately…the A just has some frustrating control design choices. Never used a Hasselblad or medium format, but yes from the DP Merrills you can expect amazing resolution and color rendition. Be ready for it though: this sensor captures in a completely different way so renders differently and behaves differently. Foveons are not all gravy. Be ready for that and crazily sharp pictures. Which cuts both ways [pun intended]. You really really need to go slow, methodical and preferably use a tripod with them. You can also expect only about 20-40 shots to a battery charge. I’m being serious. Lots is said about their ISO. I shoot mine all the way up to 1600 [they can go further]; but post 250 you are no longer making AAA-grade serious pictures and post 800 you have to really convert everything to B&W in order to maintain some degree of pride. They convert to monochrome BEAUTIFULLY, by the way. I have nothing in my arsenal even close; even after trying and trying and trying to ape the results in PS; you just can’t. I think of them as zen cameras. All the “go slow” stuff said, I use an optical hot-shoe finder with both and do street [my version of] shooting with them. In this set-up you just don’t know where they are going to focus, but the confirmation LED is easily visible out the corner of your eye [it’s mid-top panel] and amazingly they hit what you wanted more often than they don’t. Finder frame lines are not brilliant; but you adapt, if you use them seriously and enough. Plenty of nice surprises too. I do the “blind AF” all the way down to 2.8. I don’t care, I just do it. We’re talking about chance and luck now, though; and this is more a comment on external optical finders and AF in general. But you should be prepared for all this if you intend to use them for anything other than slow, methodical, patient image making via the rear LCD. But using the Merrills “normally” is perfectly possible [I’m not saying it’s easy or sensible]. Everyone says they are not for taking pictures of the kids running around indoors; nearly all my pictures of the kids running around indoors were done with my Merrills. Call me a masochist, but there it is. 99% of those shots are useless; the 1% that somehow came out right [for me] are WOW. Well, what am I doing: you can read all this and more all over the internet. I’m a member of the DP Merrill Flickr group, it may be worth a look. It’s quite a monkish spot and you won’t get much in the way of conversation, replies to threads, help, etc., but that’s better in way—look at all the images and weigh up what you think. What I’d like to say and leave you with re: these cameras is not about the cameras themselves. It’s about the post-processing. This is what you really have to prepare yourself for if you’re buying into these cameras. Above all else. I’m not joking. xi) don’t forget to move the X3F RAWs out of the folder on the PC [if you’re using the same one all the time; you probably would because SPP is set up to look in a default folder, it makes sense to make that your imports folder] so the next batch of photos doesn’t push SPP over the edge by sheer data volume. Or don’t forget to create a new folder for your next import. OK, done all that, now… THIS IS WHERE YOUR WORK BEGINS! This workflow is for people who like the cameras with religious zeal [I do]. It will drive anyone else insane. A pro wouldn’t even consider it; the words “no ACR support” rings “NO SALE” in every pro’s head, I’m sure. So, it is workable, but each image takes you a long time to do and the odds are that you will get weary of it. This is why they say the DPMs are not for everyone. I can live with it. Maybe you can too? You can download SPP for free from the Sigma online support page. There are also sample X3Fs on there [or there were]. Get SPP, get a few X3Fs and try some p-p’ing. I really recommend you do as when it comes to the DPMs, it’s not just about the camera. P/S no way you get one in your pocket! Hey Tom thanks for all your great advise, much appreciated. Its nice to here from a DPM user what the plus and minus’s of the camera are. My coworkers sister has DP1M and i managed to convince them to let me borrow it over the weekend for a test ride to get a feel for them first hand. My main need is for landscape, still life, and a lil bit of portrait work every now and then. I recently sold all my camera gear (hassy 500cm, Nikon D3s + alot of Glass,Leica M9p) for the Leica M Monochrom which i am in LOVE with and will never get rid of. Leaving me with just a Leica M6 and the Leica MM. the only thing i miss is the Hassy because it was my go to color landscape tool, iv gotten some amazing sunrise/sunset shots with it, the detail and color was amazing for prints. Not at all David. Hey, great that you have the opportunity to use one in anger outside of a camera shop! You didn’t need me to tell you much; in fact, we should go the other way—how are you finding the camera so far? My photographic hobby began some months back, trying to make use of a couple of cameras my wife and I had bought ages ago [on purely pretentious grounds] put away ages ago, but which popped up 5 years later [that’s now] when we were unpacking after a move. So I made a New Year’s resolution to make use of these cameras, take up photos as a hobby. Got into it. I quickly wanted more and the DP1M was what I got in late Jan. of this year. So my DP1M isn’t technically the first camera I ever bought [that’d be a Panasonic DMC-L1; it turned out to be a lucky buy, actually, because I love it — and understand it — now… anyway…] the DP1M isn’t the first camera I’ve ever bought, but it kind of is the first camera I ever bought. In a slippy, metaphorical way. It’s been a steep learning curve with the DP1M. I didn’t know what ISO was six months ago [but I’m a trained engineer, so all the tech stuff is quite comfortable, as it happens]. The foibles of the machine have turned out to be blessings in disguise most often. Some not so much… My 1 has some “moustache” distortion, my description would be “fishtailing,” most noticeable on the top left corner. Are you getting this? That was quite disconcerting once I’d cottoned on to it [once you know, your eye goes for it every time]; especially since it seems you can’t correct for it [barrel distortion not a problem though]. The 2 is magnificent, no distortion or aberration at any aperture. “Flawless” would be hyperbole, “as good as it gets” perhaps? I would gladly pit the DP2M against anything at all, if it were controlled conditions. But I use the DP1M way more than the 2… go figure. My photos are all sublime works of genius to me, though. I’m only half-joking. Christ, I’ve written all this and haven’t gotten around to your Leicas which I was ITCHING to ask about. Take care of that MM David! Wouldn’t it be lovely to pass something like that on to the grandkids, etc? Our gracious host MT says the CCDs do die; and now Leica uses a different OEM for the sensors, and Kodak’s sensor division — in another chapter one of the greatest corporate tragedy stories, ever — has been sold off, spun off, rebranded, repackaged, etc., the chances of finding future replacements are close to nil. Judging by what is possible with classic cars, though, and how far owners will go, I dunno—I can see future options for pre M-type 240 digital Leica owners… be interesting to see. [Interesting to see if us digital camera enthusiasts take a leaf out of Ming’s book and start taking apart our machines, customizing, c.f., MT’s multi-spectral camera article]. Mm, but yeah I want an M9-P.
It’s how I found this site, as it happens. I’ll not get one. Just too much money, even if I had it, to sink into a camera [when you have a wife and kids, it’s just not fair]. I have amassed a RIDICULOUS amount of cameras and lenses since taking this up as a hobby. One is the Epson R-D1s, so my RF curiosity is more or less sated. And all this tooling up is only in a little less than 6 months! But for all the cameras, glass, bumpf and what not, that I’ve bought thus far, my sum total capital outlay is still only two thirds of the price of a used — repeat used — M9-P. Body only! Never mind an M-E… I could have all the gear I have now, or I could have a clean used M8, or a battered, dirty M8.2. Body only. That’s not as simple as my words make it sound. I can definitely see sense in having one premo camera and a few lenses instead of tons of mezzo-mezzo stuff. So I reserve the right to u-turn, again and agin and again! Back to the Leicas though, what’s really scary is, what’d it cost when one of these machines goes wrong? And we haven’t broached lenses. I can afford precisely none of the Leica lenses. If I really pushed, I think I could make a Biogon. And I’d be THRILLED with that. If only. Sigh. But, yeah, M9-P does it for me. It could well be one of those things though—the instant I get one, the dream dies and the magic is gone. Maybe it’s better as a mirage just out of reach, forever. I’d like to say good for you, though, David. You’re living the dream 🙂 Even if it all falls down and you have to sell off the cameras — it won’t happen, I’m just painting a dramatic picture! — if it all caves in, you’ve had, you have, an experience not too many of us will ever have. Even people who are card-carrying camera enthusiasts. So this is saying something. Envious! P.S. Im with you on Steve’s reviews, he seems like a nice guy and all but not a fan of his write ups. Thanks for the link to Jonathan Valin’s review i especially enjoyed his comparisons to the Hifi audio world. Id love to take a look at some of your DPM shots on flickr, what user name are you under? another high ISO shot: 1000, this time. And I’m back to the football! I always look forward to your photographer-orientated reviews … great pictures and concise informative text. I notice the 28mm optical VF: how important is that to getting your results i.e would you shoot without the VF for this camera? Not important at all. I took it off after the first day because I just didn’t use it and it was picking up lint from my pocket. Great review as always. The ‘problem’ with your reviews Ming, is that I don’t think you’re capable of taking a bad picture with any camera. Your level of mastery seems to bring out the very best in every camera you review — for those of us who want to see the real world potential of a camera, that is a good thing. Haha. Actually, if I don’t review something, it should be very telling…I can’t take the professional risk of crap images having my name attached to them. An amazing review. Great pictures as well. Thank you for your times and efforts. My Nikon Coolpix A is on its way next Monday. By the way, have you test the video feature?? Nope, I don’t shoot video. 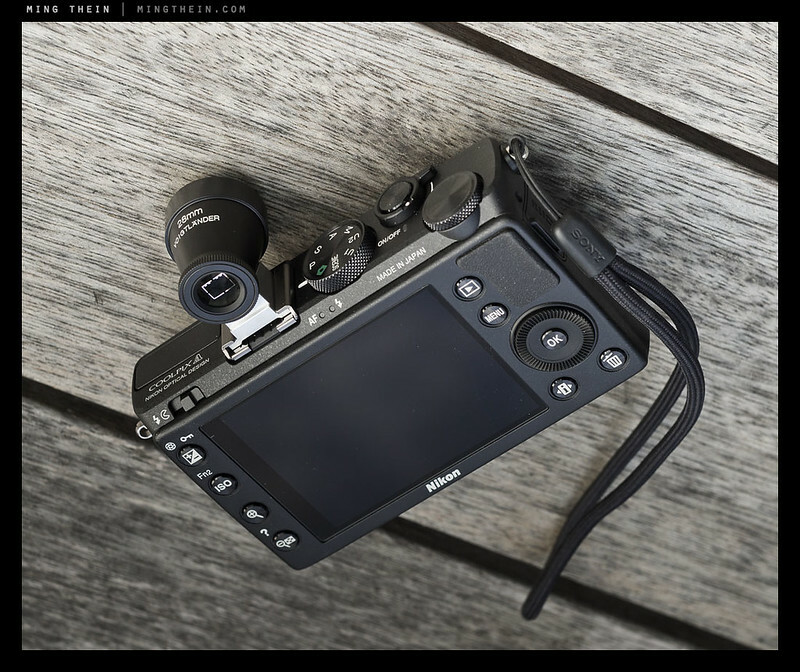 Great review as always Ming, as a RX100 user I have to admit the quality the Coolpix A brings is amazing. Frankly Nikon should really price this around 900 not 1100 dollars especially with the Ricoh GR coming up and of course the X100s but maybe Nikon can tempt me if they lower the price on this one just to steal the Ricoh GR’s thunder. Exciting times to be a photographer indeed maybe we’ll see more companies take a crack at a compact fixed lens APS-C sized sensor will be looking forward to your review on the Ricoh GR very soon. Any likely chance of you doing a review on the new Leica S medium format camera & lenses ? Did you use the Fn1 AF-on in conjunction with the spot meter or the matrix? Also, does the Fn1 AF-on lock focus or does it focus continuously? If locks focus why did you find it to be better than the shutter AF? I use spot meter. FN1 locks focus, but it doesn’t refocus (and lock the shutter, which is focus priority) between shots. You can zone focus easily this way and the camera responds much faster.